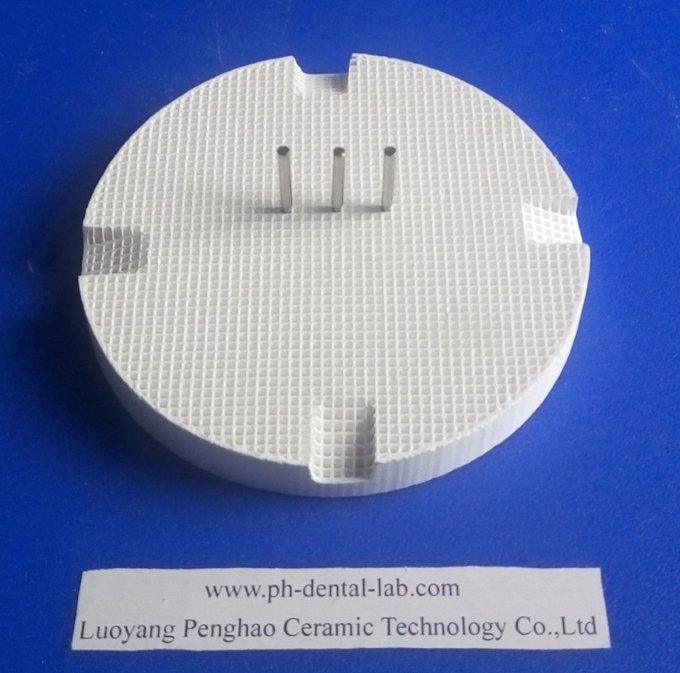 It has 4 slots for easy handling in and out fo the sintering furnace . 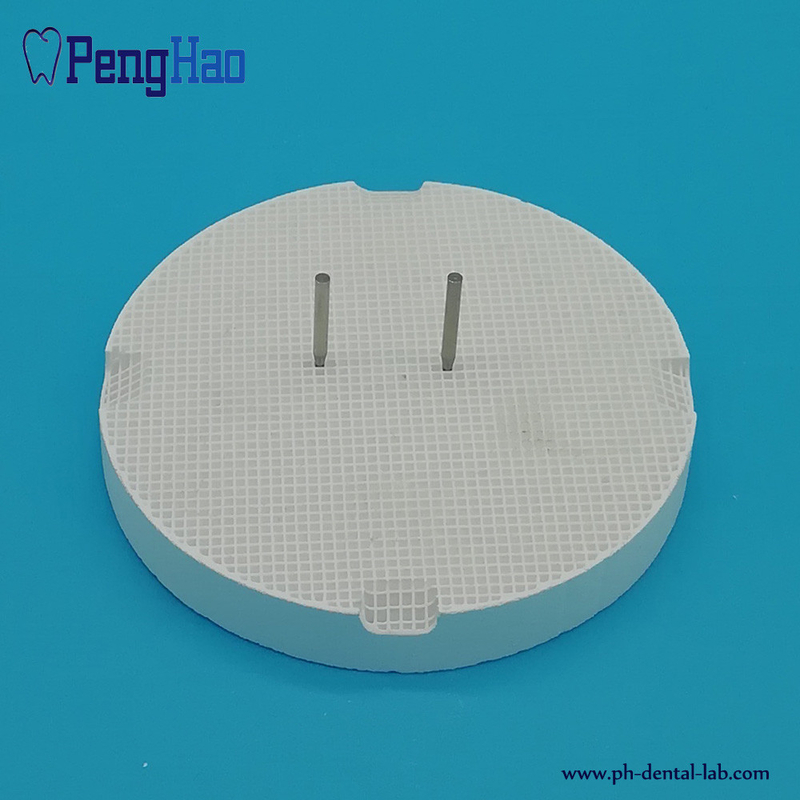 The metal/ ceramic pins are used for supporting the bridges or crowns. 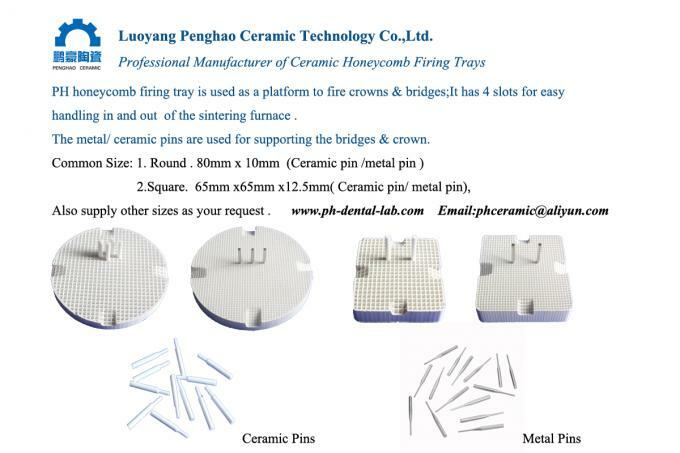 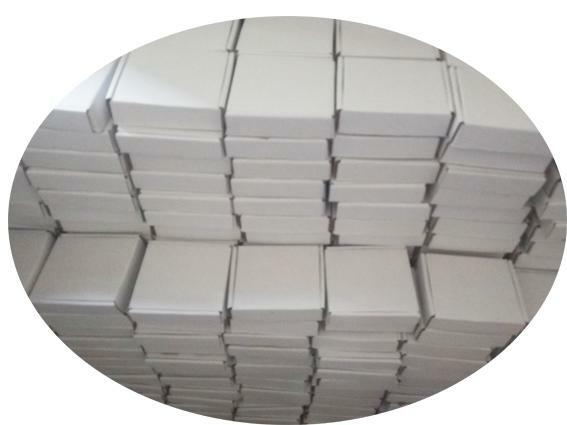 Our packing of honeycomb firing tray . 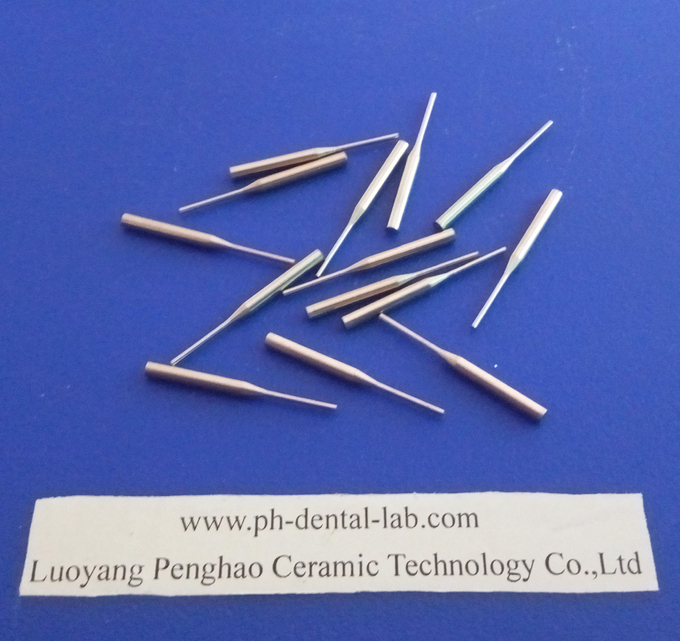 Types: Metal pins & ceramic pins . 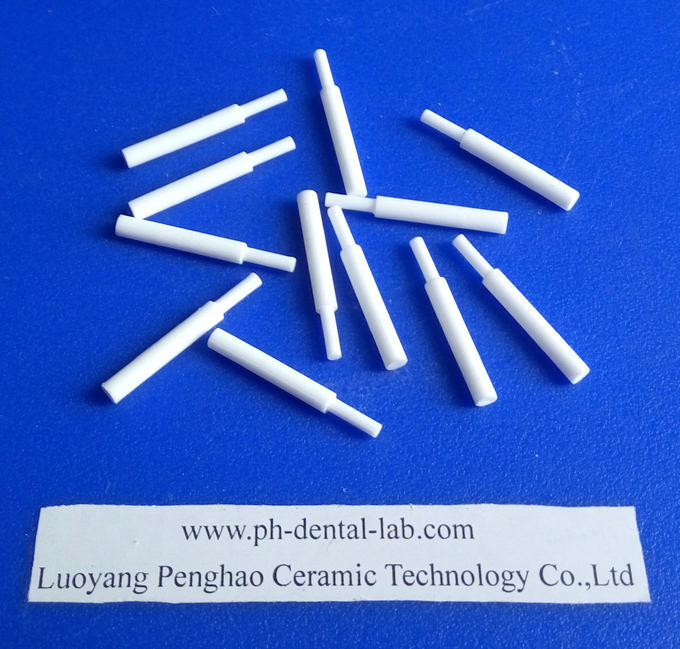 Shape: Round , with ceramic pins.